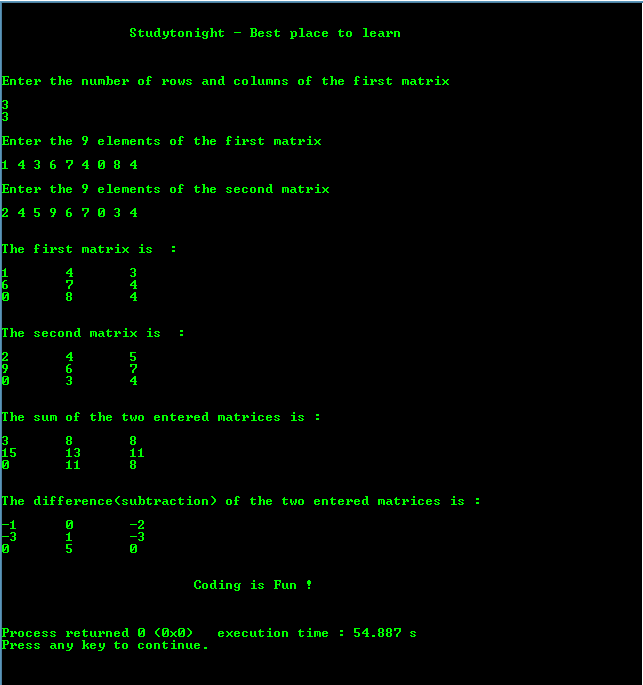 Below is a program to perform Addition and Subtraction on two matrices. \n is used to take the control to the next row. \t is used to take control 5 spaces(tab) ahead.